Last month I brewed up a Bant Slivers list; this month I put it through the initial trials in the Magic Online tournament practice room to see if it’s good enough for dailies and to see what changes need to be made. The list is the same as before except with an initial sideboard draft — it ain’t pretty, but it ain’t terrible either. Slivers is maybe not the place for Thalia. Against the decks we bring her in for, she’ll hurt them more than us, but the damage can still be significant. This could just be a playstyle preference (I’m heavily biased against anti-synergy). Diffusion Sliver underperformed. I still stand by it, but it’s not the bomb I expected. The inherent problem with it is it’s for decks with lots of removal, but decks with lots of removal make the game drag out, which makes her worse. It also suffers the same way Mana Leak suffers: it’s pretty useless late game. It probably fares much better against Abzan than Delver, though. We should maybe run 21 or even 22 land. We should probably run a Forest, too (partly for enemy Paths and partly because we need more green sources). The basic message is this: Slivers is not viable in Modern. We can make tweaks, we can add Manaweft Sliver and try Lead the Stampede and maybe Bonescythe Sliver and different disruption, but even with all that, I’m confident the archetype just isn’t the powerhouse it needs to be to compete. But, as I say in the video, it’s fine for casual play. You could bring it to Friday Night Magic too, but in a formidable meta, you’re likely to lose too often for it to be fun (if you’re one of those weirdos that doesn’t need to win ever to have fun, then obviously, you should have at it). 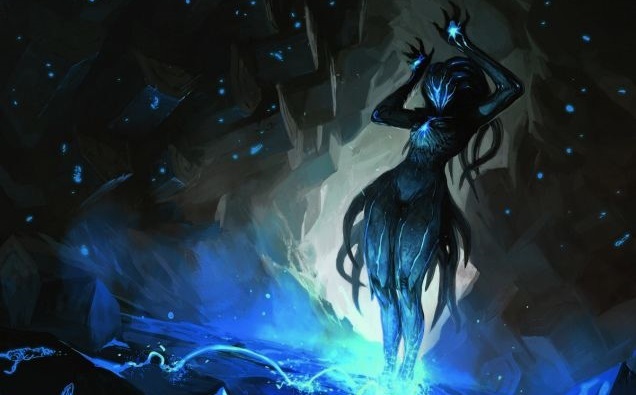 Slivers works decently in Legacy because a quick clock with a variety of answers backed up with free counterspells is always good, but we don’t have that in Modern, and unlike with Merfolk, we don’t have a solid, versatile package to work with. We’re not that far off, but even small advantages can make a huge difference in this format, and they certainly do with this archetype. So, we tried. Not all of these experiments will work out, but that shouldn’t stop us from giving them a shot. Until next time! I agree about Crystalline. Basically we make a poor aggro deck, and lack the tools to be a good tempo deck. The Merfolk comparison is better but yeah, it’s not better than any aggro or tempo deck. Caverns should probably be in there, yeah. Company isn’t good here because of weak flips. I’d sink in two articles worth of time into determining whether or not a deck is viable, as I’ve done. That was a rough batch of games for sure, though I wouldn’t draw any conclusions from that last match. I think you might do a bit better with some more versatile mana fixing, though. I went all-in on Sliver Hive and Cavern of Souls when testing my own version of your deck (4 of each instead of fetches), and I don’t remember running into the color-screw issues you occasionally encountered. Bonescythe Sliver also seems to be the natural thing to try as a finisher, since the deck seems to be lacking that T4-5 knockout punch that puts more established aggro decks over the top. We can also tweak the sideboard a bit – maybe we can take a page out of Stompy’s book and run pump spells to make up for the relative lack of Lords?